WN Law provides effective legal representation like none other. Attorney Renee Wagenaar uses both her psychology and legal background to provide client's with a truly unique, satisfying experience. Renee knows how difficult it can be to find a lawyer that provides clients with attention, honesty, and hard work, but Renee strives to obtain the best results possible while paying attention to her clients and their needs. Renee represents clients throughout the State of Michigan on a variety of legal issues, ranging from civil infractions to misdemeanors, to felony charges, to family issues. Renee's knowledge of the law and the local court system serve her client's well and allow her to resolve cases with the best possible outcome. WN Law's clients consistently report back how much they appreciate and value Renee's personal service. You will find Renee to be attentive, knowledgeable, and accessible. 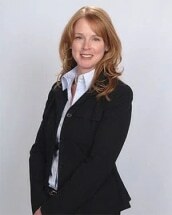 She is available around the clock to answer questions and to provide assistance with your case. Contact WN Law today to find out more about how WN Law can assist with your legal issue.